Maine Sea Duck Hunting! It’s what’s for breakfast!!! 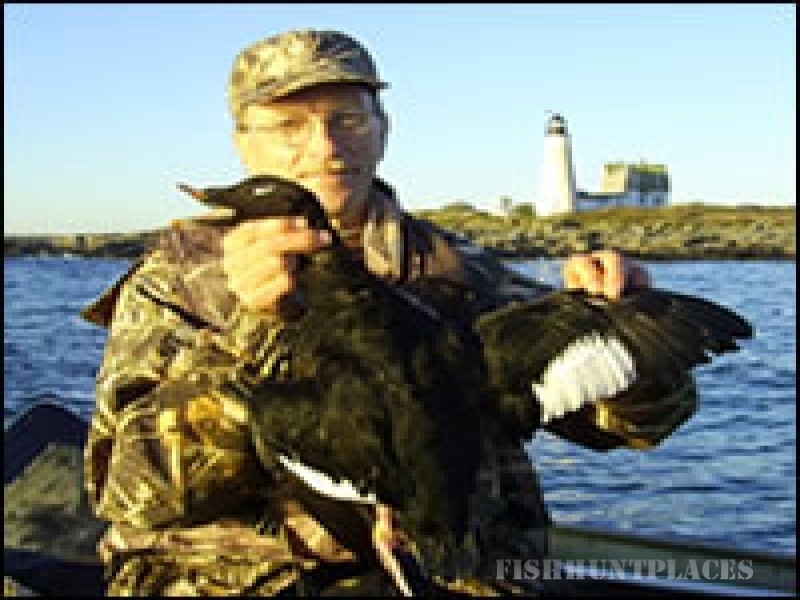 Maine sea ducks, Eiders, Scoters and Old Squaws, they are all here in Southern Maine waiting for you. Saco Bay has some great sea duck action and offers limits of both sea and puddle ducks and is only two hours north of Boston! Eiders are the biggest the duck family has to offer and can humble even the best of shooters. Eiders inhabit the Maine coast for the entire season, resident birds early on and migrators as the season progresses. Black drake scoters are simply beautiful birds and are here for just about the entire season also. White-winged and surf scoter frequent the area and are possible targets on any given day. Old squaws start arriving mid-November and are here until the season closes at the end of January. 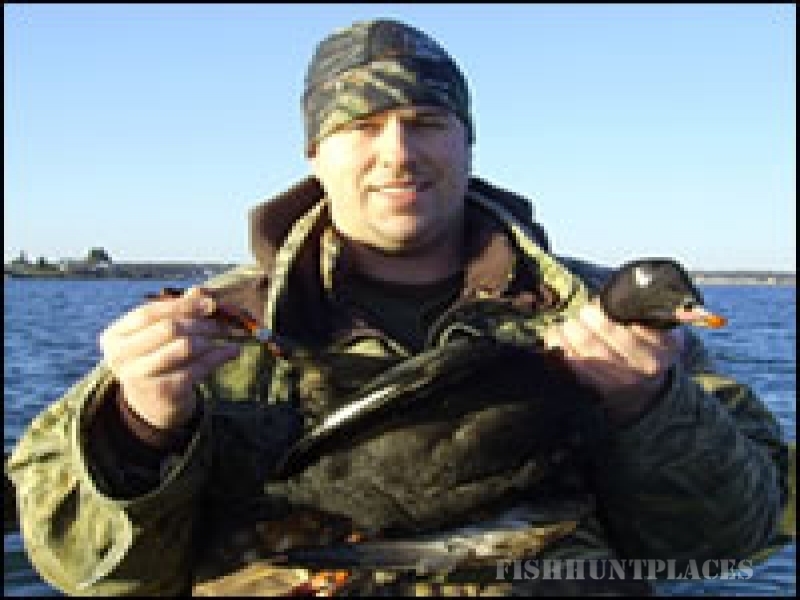 With liberal limits of 7 sea ducks, Maine Sea Duck Hunting should be on your “To Do List” so give me a call and start your own tradition today. I do guide other hunts for Rabbits, Deer, Moose and Turkeys, but my passion is Duck Hunting, especially on the BIG water of the Atlantic Ocean for Maine Sea Ducks. Traditions Guide Service is located in Southern Maine on Mousam Lake. Lodging is seasonal, from April through November. The Mousam Lake Cottage sleeps up to 6 people and is only a few feet from the shoreline. There are docks for boat tie up and the shoreline is sandy and gradual which is great for swimming. Fishing on the lake is good and yields just about all the freshwater species that the state has to offer. Whether it’s peace or purpose, Traditions Guide Service can meet your needs. Remember, Traditions don’t just happen; they need to be passed along.